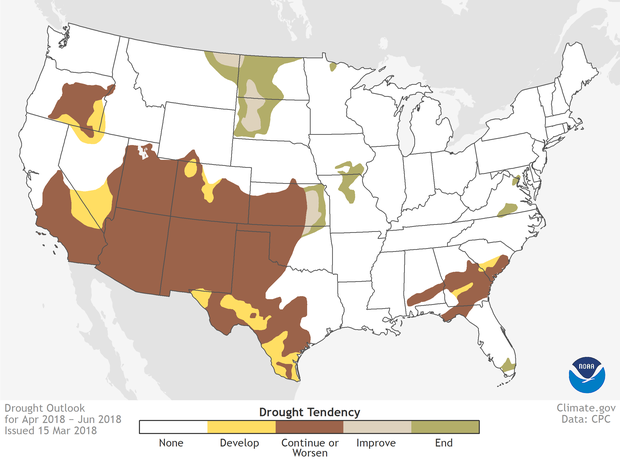 The Lower Mississippi faces a risk of moderate flooding this spring, while the southwest quadrant of the country is likely to see drought conditions continue or expand. 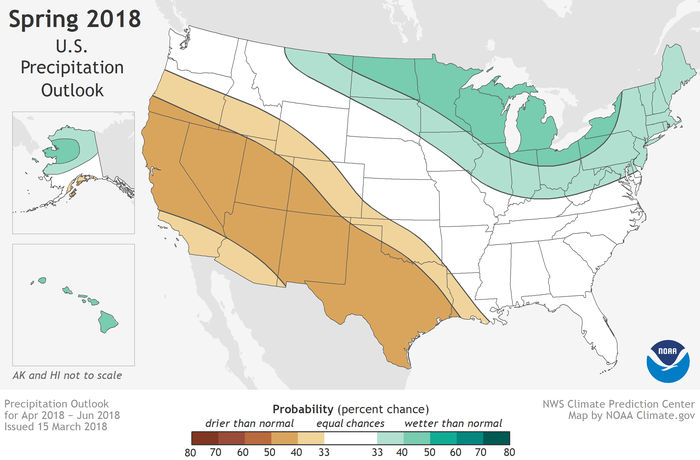 The Climate Prediction Center's Mike Halpert provides more details of NOAA's 2018 spring climate outlook. The official NOAA/NWS press release is here. The maps used in the video are below. 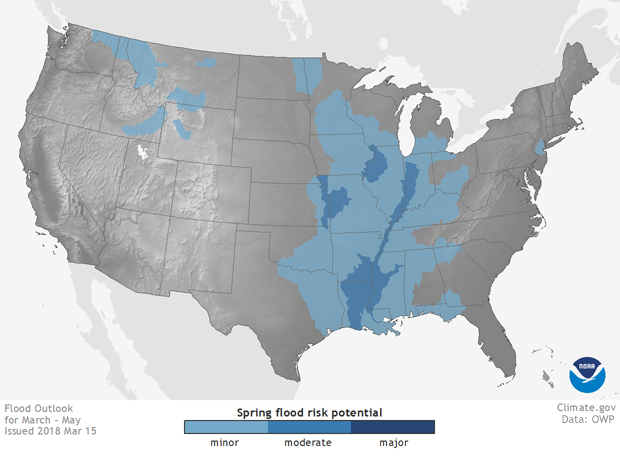 Spring 2018 flood risk in the contiguous United States. Areas vulnerable to minor flooding are light blue; moderate flooding, medium blue. These maps reflect places where the "background" climate conditions—such as a wet winter and saturated soils—create an enhanced risk of flooding throughout the season. Flash flooding can still occur anywhere in response to extreme weather. 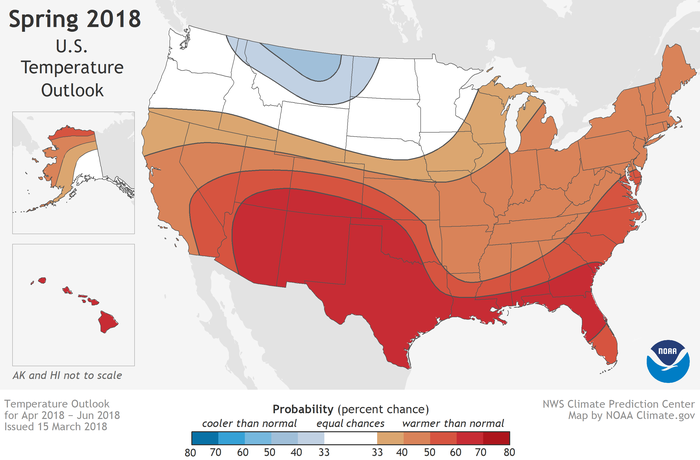 NOAA Climate.gov map, based on data from the Climate Prediction Center.